Tottori Travel Guide: From Sand Dunes To Local Cuisine And More! The Highlights Of Western Tottori: Museums, Temples, And Travel Tips! Welcome to Yonago in Western Tottori, where you can find the beautiful Mt. Daisen, Japan’s No.1 seafood city – Sakai Port, the fairy tale-like Mizuki Shigeru Road, and other great attractions! 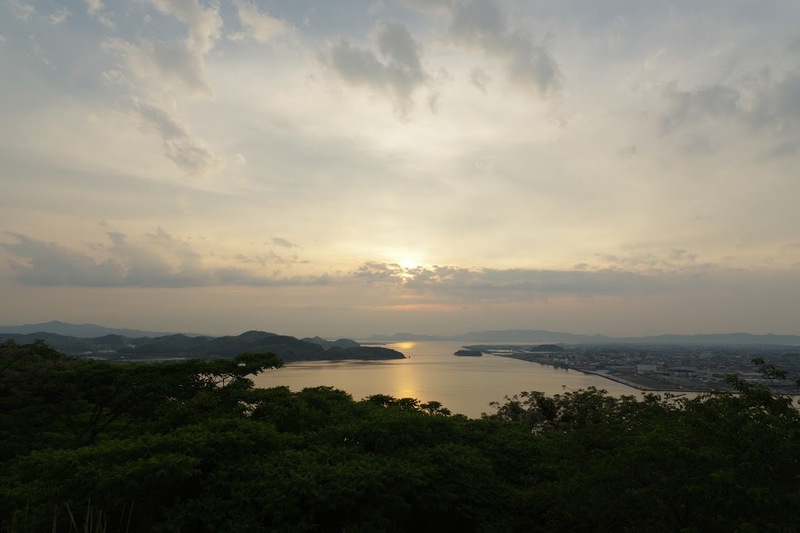 Today, let us explore Yonago City, in the western part of Tottori prefecture, to show you the breathtaking nature of this area, with its sturdy mountains and the beautiful, vast sea. The mountain in the photo above is not “the” Mt. Fuji, but its “eastern” counterpart, the ”western” Mt. Daisen. Because of its extraordinary resemblance to the Japan’s tallest mountain, the two are often compared. This area is Tottori’s prominent highland resort, where you can indulge in various outdoor adventures and activities. If you head to the west from Yonago, you’ll find Sakaminato City, which holds the record for the most generous red snow crab and tuna catches in Japan. Here you can also explore the world of manga and anime, by visiting the so-called yokai world, or the world of spirit-monsters, portrayed in the well-known manga and anime series GeGeGe no Kitaro. It is a superb chance to witness and experience the amazing Japanese manga universe firsthand, and it is a recommendation for anyone who is interested in manga, anime, or Japanese yokai stories. Also, since this part of Tottori prefecture is quite close to the “land of Japanese myths and legends”, Shimane prefecture, it would be a great pity not to explore the two prefectures at one go. Let us first tell you how you can get to your exciting destination in western part of Tottori, Yonago, in the most efficient way. For those who wish to travel from Hong Kong and South Korea, one direct flight to Yonago’s Kitaro Airport is all that it takes to find yourself in Western Tottori. As for visitors from other countries, you can get to Yonago via Narita or Haneda Airports in Tokyo, or Kansai International Airport in Osaka. If, however, your starting point is Tokyo, Osaka, Hiroshima, Fukuoka, or some other city in Japan, you can choose your means of transportation – by plane, by train, or by bus. Although we’ve laid out the possible traveling choices if going from Tokyo, our recommendation would certainly be to go by plane. If you take our advice and picked the fastest (airplane) route, book a flight from Narita Airport, Tokyo, to Yonago Kitaro Airport, Tottori. The flight lasts for an hour and twenty minutes, and it’ll take you additional 25 minutes by bus to get to Yonago Station from the airport. If you’d like to visit Sakaiminato first, it won’t take any longer than that either – approximately 25 minutes by bus. Here’s an extra piece of information: you can use the ANA Experience Japan Fare, a special discount fare to any destination in Japan. With this discount, the one-way ticket from Narita Airport will cost only 10,800 yen. If you chose to go by shinkansen (the bullet train), first head to Okayama, where you should change trains to Limited Express (Super) Yakumo, and get off at Yonago Station. It should take about six hours and 30 minutes, and cost around 20,000 yen for the ticket. You could also pick the exciting direct-bound limited express sleeping car train Sunrise Izumo, and make the traveling part all the more fun. If you head to Yonago City from Osaka, ride the shinkansen to Okayama Station, and then switch to Limited Express Yakumo. It ought to take from three to three and a half hours, and will cost you about 10,000 yen. If you are to go to Yonago from the south, say Fukuoka, again, ride the Okayama-bound shinkansen and change trains to Limited Express Yakumo upon arriving at Okayama Station. The time needed to get to Yonago is from four to four and a half hours from Fukuoka, and the fare is around 16,000 yen. If you’re traveling from Hiroshima to Yonago, take the shinkansen to Okayama, and then switch to the Super Yakumo Limited Express train; it will take about three hours, and cost roughly 10,000 yen. If you decide to prioritize the fare, our recommendation is to go by bus. Ride the intercity bus from Osaka to Yonago, and you can expect to arrive after approximately three hours and 30 minutes. The fare is significantly cheaper – only 4800 yen. From Fukuoka to Yonago the travel time by bus is slightly longer, around seven hours and 30 minutes, but the fare is not as pricey – 8700 yen. Or, if you are traveling from Hiroshima to Yonago, you can take the highway bus for three and a half hours, and if you show your passport (non-Japanese only) at the ticket sales counter, you can get your ticket for half price – 1950 yen (discount available until March 2018). You’ll find the circular-route Dandan Bus to be quite useful transportation when making your rounds through Yonago City, with a bus fare of 150 yen each time you ride it. 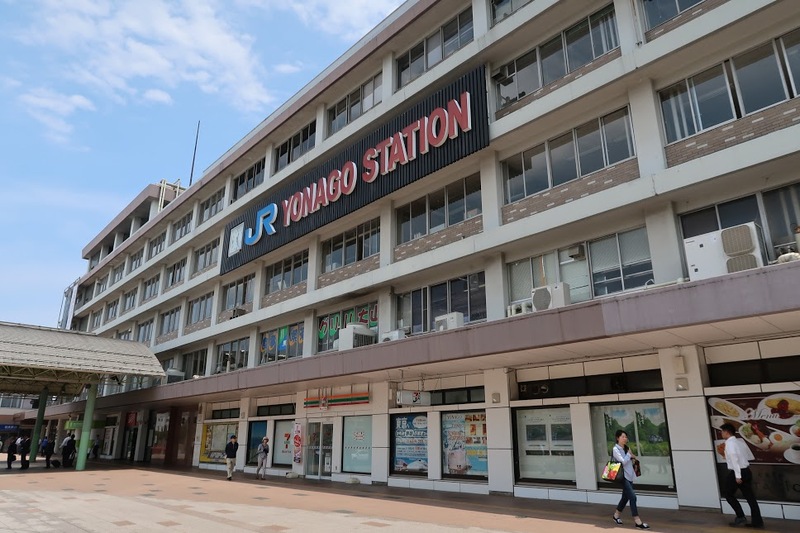 As for the means of transportation outside Yonago, if you’ve got some interesting-looking places you’d like to check out, you can organize your traveling itinerary with Yonago Station as your starting point – there are plenty of buses going in all directions, for you to choose from. 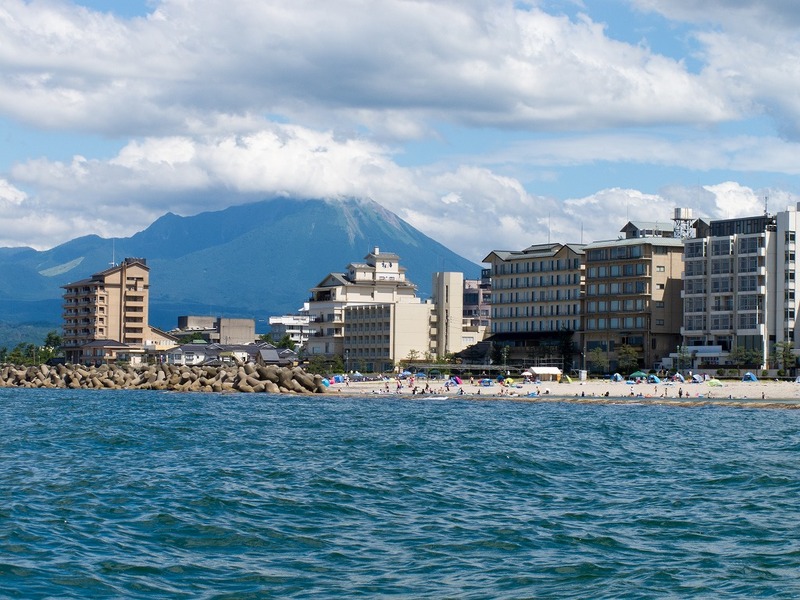 From late April to the beginning of June, as well as in August and October, there is a special circulating bus that can take you to Kaike Onsen and Daisen from Yonago Station – the so-called Daisen Loop Bus. You can ride all you want for one day, by paying only 1000 yen for a ticket! That’s a very reasonable price for bringing you to all those different sights and experiences at your preferred pace, don’t you think? Mt. Daisen is one of Japan’s famous highland resorts, visited by many during each season – in spring and summer you can have picnics or tour around on a bicycle, in autumn Mt. 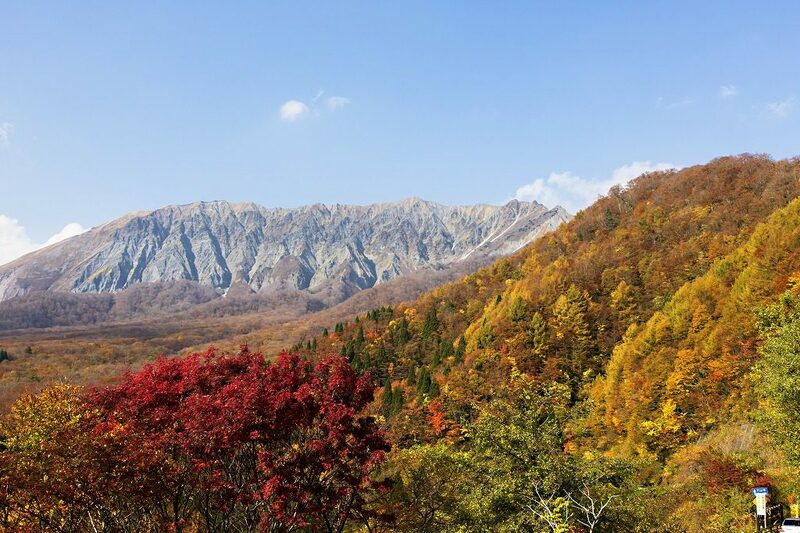 Daisen will fill you with awe at its wondrous autumn foliage, and during winter you should certainly bring your ski equipment (or just ski-talent will do), for a thrilling round of skiing down its slopes. Of course, you can reach it by bus departing from Yonago Station, and it’ll take you about 50 minutes to get there, but for those who cherish a more adventurous spirit, we suggest renting a car for a delightful and “your-pace” trip to Daisen. You might get to witness spectacular sights should you choose driving (and stopping) of your free will. Furthermore, if you get to be in charge of the voyage-timing, you can even drop by the ancient Buddhist temple, Daisenji, built in the 8th century, or even taste some of the highland vegetables, fruits, and other specialties, at one of the local cafes spotted around. It sure does sound alluring and free, doesn’t it? At the base of Mt. 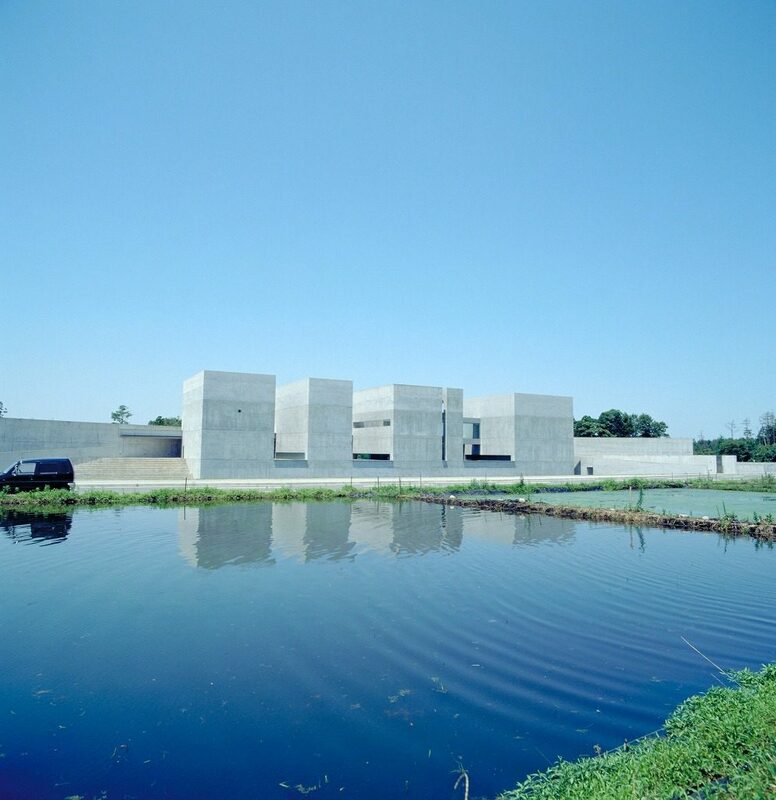 Daisen, you’ll discover a spectacular world of photographs made by internationally-renowned photographer Shoji Ueda. He was born in nearby Sakaiminato but became famous around the world thanks to his superb photography skills. You can admire his work displayed at Shoji Ueda Museum of Photography, and even get an unforgettable look at the upside-down Mt. Daisen reflecting in the museum’s artificial lake. It is a not-to-missed opportunity for any photography-lover to admire a well-known professional’s work while gazing at the astounding Mt. 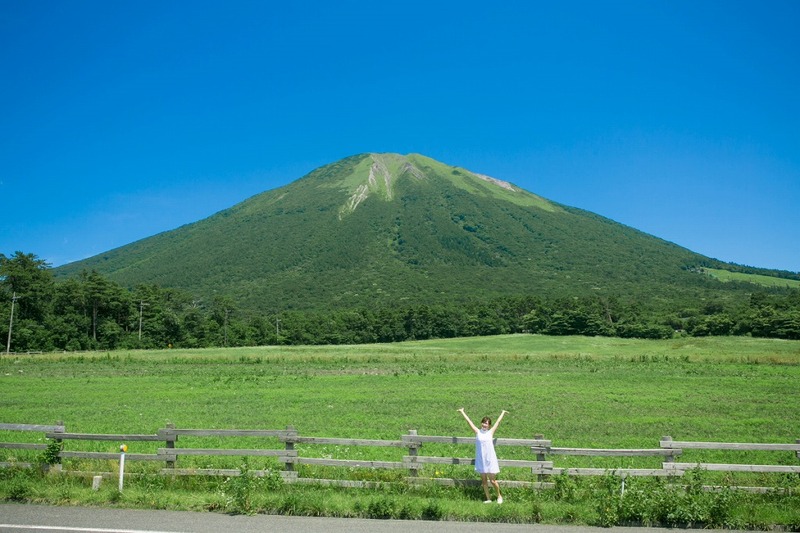 Daisen – you can even test your own photography skills since there is plenty of wonderful scenery in the vicinity of the museum. Before visiting Tottori Hanakairo Flower Park, prepare to be amazed! Apart from spectacular Mt. 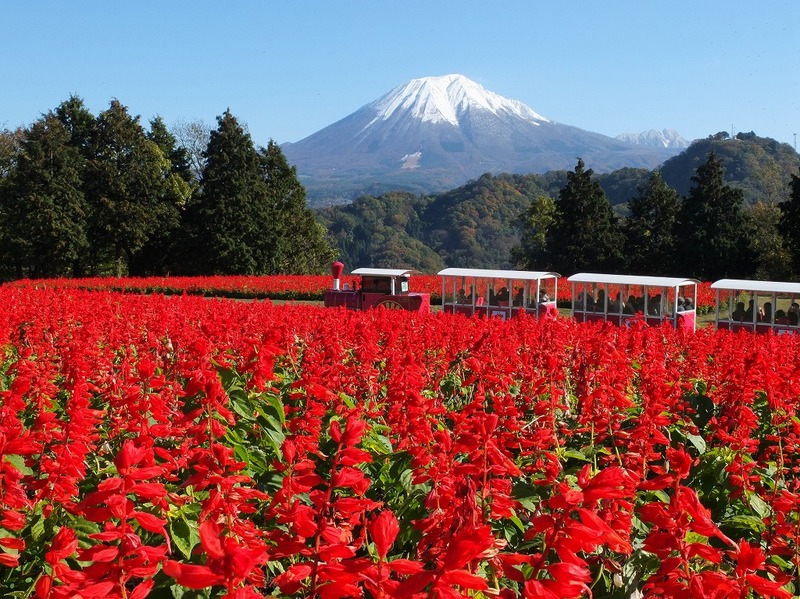 Daisen in the background, Japan’s largest flower park has much more to offer; throughout the whole year, you can rest your eyes upon 400 various species (and over 2 million sprouts) of beautiful flowers! Since different flowers grow during each season, no matter how often you visit this glorious park, you will never get enough of its scenery – and it takes only 25 minutes from Yonago Station by a free shuttle bus. Tottori’s reputable Kaike Onsen (Kaike spa) is located near Yumigahama, a peninsula connecting Yonago and Sakaiminato cities. If you are in the search of a place to put your feet up and admire your surroundings, you should definitely consider visiting Kaike spa – although the vicinity of Mt. Daisen and Miho Port is already a big plus when it comes to taking in the nature, the fact that this area is listed in Japan’s 100 Most Beautiful Sunset and Sunrise Views ought to give you some idea of the amazing sightings you will experience here. One of the widely known and much-adored manga artists, who was also an expert on spiritual beings from traditional folk literature, Mr. Shigeru Mizuki, was born in 1922 in Sakaiminato, where he spent his childhood days. He based his immensely popular GeGeGe no Kitaro manga on the stories he used to listen to from the neighborhood auntie, which later on caused the unprecedented spirit-monsters boom to Japan. His manga series has been turned into numerous anime movies over the years. In the vicinity of JR Sakaiminato Station, there is a spirit-monsters’ world laid out along the Mizuki Shigeru Road, with over 170 bronze statues depicting different characters from Mizuki’s manga and anime series. You’ll also find plenty of monster-lookalikes sold at the souvenir shops – some of them are super tasty, and the non-edible, adorable ones, are perfect for gifts to your loved ones. And, at the Mizuki Shigeru Museum, you can see the origins and works of GeGeGe no Kitaro, plus original animation items and other parts of this classic anime’s history. It will take about 45 minutes to get to JR Sakaiminato Station from Yonago. 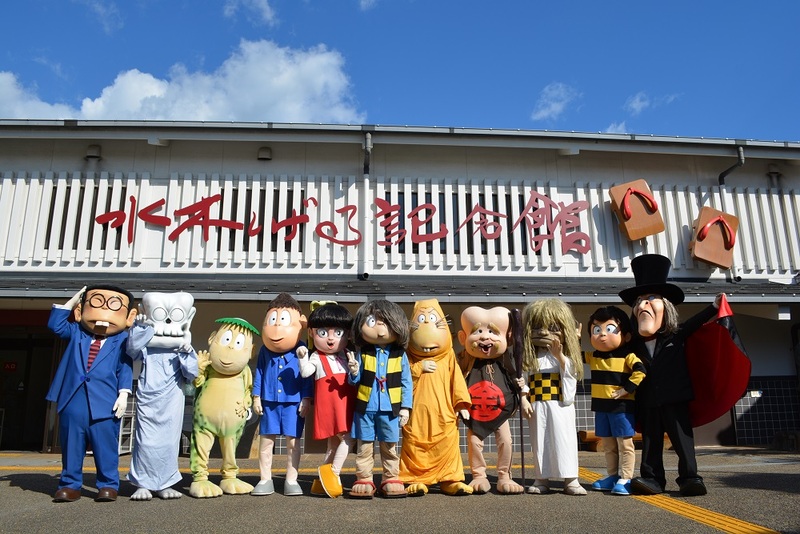 But there is one more wondrous surprise waiting at Sakaiminato Station – should you decide to visit this unique street, you’ll be likely to encounter the charming Spirited Train, with GeGeGe no Kitaro characters drawn all over its cars. Let the monster-train lead your way into this spirited land! The one thing you just have to try when it comes to West Tottori’s food definitely is the gourmet seafood. You can come by delicious seafood products at Sakaiminato Marine Products Direct Sales Center, where they sell seafood the very same day they’ve caught it. You might want to take a look at Sakaiminato Fish Center too, to get your seafood cut and prepared in front you of at the very spot you bought it. Finally, you can also pay a visit to Nakaura Tairyo Market, for some interesting and delicious seafood souvenirs and other processed marine products. 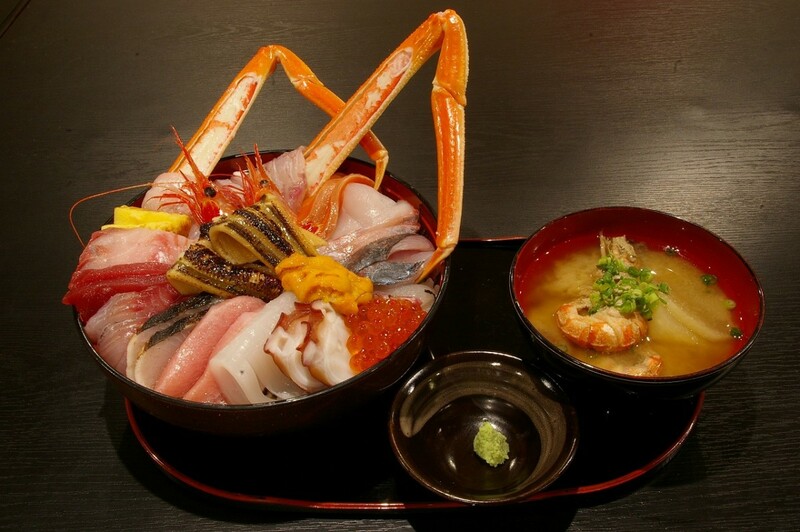 Also, take this opportunity to try out some exquisite kaisen-don (seafood and rice bowl dish), or sushi at the facilities’ restaurants, or the ones nearby. It would be no exaggeration to say that the very charm of Japanese tradition and culture is concentrated in the western part of Tottori, where you’ll find both mountains and the sea, and on top of that – the mystical world of spirits and myths. Since Yonago and Sakaiminato are quite close and very well connected, you should certainly give this area a chance to awe you with the alluring nature and its rich and impressive cultural heritage!